Dallas ISD program evaluators work closely with the program manager to understand the program, set program goals, and determine the scope of the evaluation. Ongoing communication between the evaluator and program manager is important so that the program manager can continually update the evaluator about the program and so that evaluation findings can be shared as they become available. The ongoing communication of results allows for continuous improvement throughout the school year, if needed. 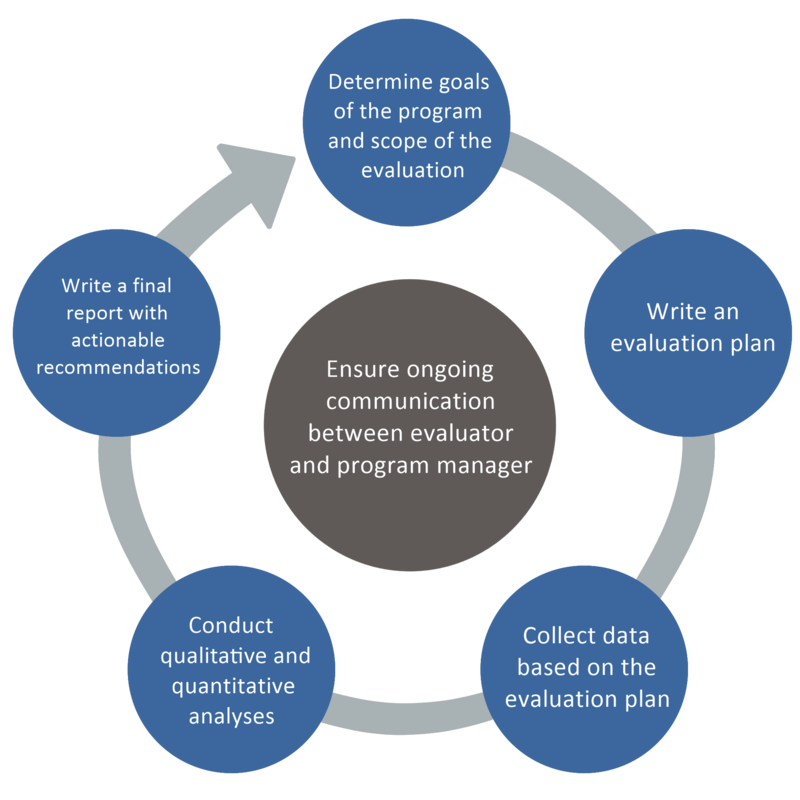 The typical steps of a program evaluation are shown in the figure below. Because program evaluation is cyclical in nature, results of one year’s final report are often used as a guide to update program goals (if needed) and to create the evaluation plan for the next year. Dallas ISD evaluators abide by the Program Evaluation Standards set by the Joint Committee on Standards for Educational Evaluation as well as the American Evaluation Association Guiding Principles.